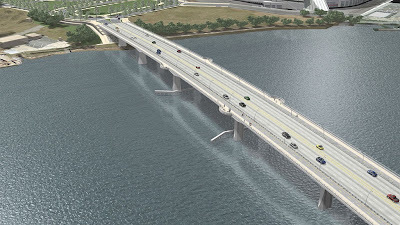 There is $622 million set aside in the District’s FY2014 budget to fund Phase 1 (Segments 1 and 2) of the South Capitol Street Corridor project, which includes a new bascule design Frederick Douglass Memorial Bridge, traffic ovals on either side of the bridge, and the reconstruction of the I-295/Suitland Parkway interchange. Federal funds will also be used for the project. The second phase has yet to be funded and will include the boulevardization of South Capitol Street from N Street to Independence Avenue, a new, at-grade intersection with M Street, and other improvements on both sides of the Anacostia River. The western section of the bridge. 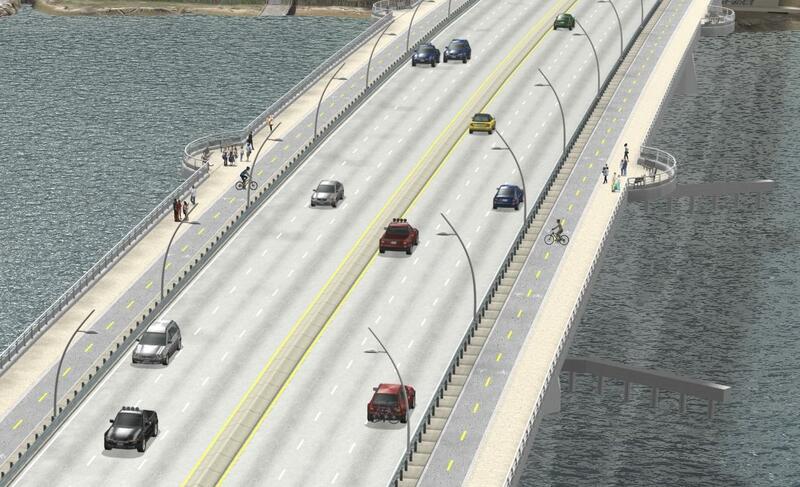 The new bridge will have three lanes of vehicular traffic on each side as well as space for pedestrians and bikes. There will be an 18-foot shared use bike and pedestrian lanes on both sides of the bridge with connections to Potomac Avenue and R Street on the west side of the river. Ten feet will be dedicated to a two-way cycle track and eight feet will be used for a pedestrian pathway. In addition, viewing platforms will be located along the bridge. 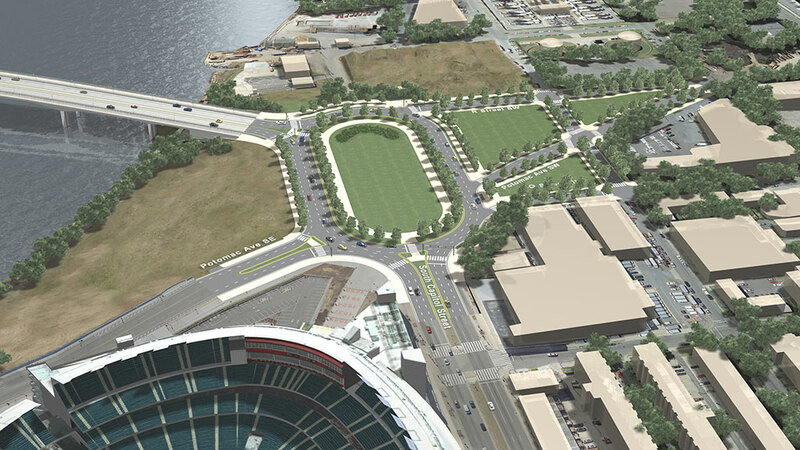 A shared use path will be located in the inner part of the traffic oval. Lane configuration on the new Frederick Douglass Memorial Bridge. A change from the earlier design of the bridge is its alignment, which will now be parallel to the existing bridge. Another difference is now there will be a traffic oval on the east side of the bridge instead of a traffic circle. The traffic oval on the west side will connect Nationals Park with the proposed DC United stadium and can serve as a focal point for the area, perhaps with a new memorial. A new traffic oval will be built adjacent to the bridge. 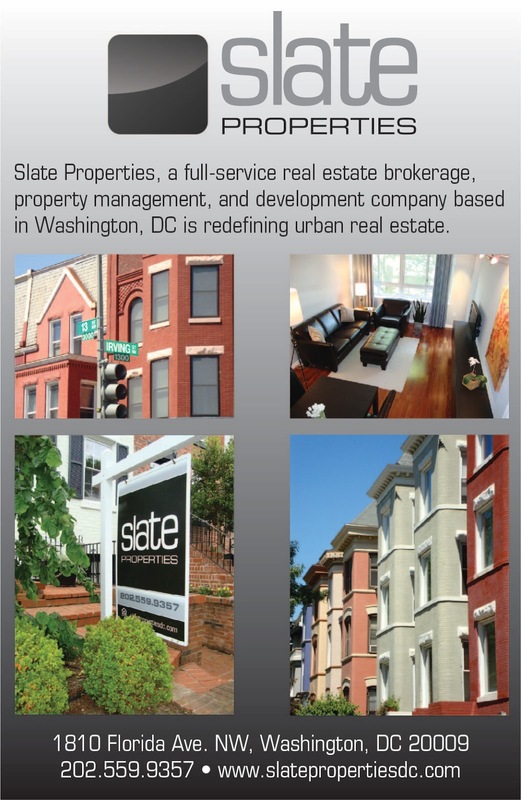 DDOT will released a request for proposals in the fourth quarter of 2013 and a design-build team will be selected by the second quarter of 2014. Construction will begin by the end of 2014 and completion is scheduled for the fourth quarter of 2018. During the construction period, some steps that will be taken to help minimize disruption to the neighborhood include the delivery of construction materials by water, the use of water trucks to reduce dust, designated haul routes, and no construction worker parking in neighborhoods. The "ovals" at either side will not help pedestrian or cyclist traffic - they'll only serve to isolate the median from any human contact and speed cars along the sides. 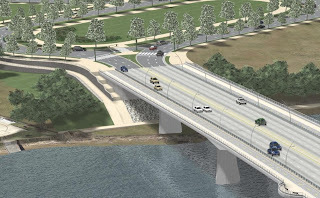 I welcome the additional plans for paths on either end of the bridge, but the traffic patterns on either end do not lend a lot of confidence on how well the plans will blend with the needs of locals, as opposed to suburbanites trying to get into sports games.